The Disabled American Veterans mobile service office will be available in front of the Fayetteville VA Medical Center, to accept applications for financial aid through their Disaster Relief Fund. This service is available only on Monday, April 25, 9 a.m.-3 p.m. Disaster relief grant amounts may vary based on applicant needs, available DAV resources and DAV membership status. Disaster relief grants may be issued for the purpose of providing: food, clothing, and temporary shelter or to obtain relief from injury, illness, or personal loss resulting from natural/national disasters that are not covered by insurance or other disaster relief agencies. The applicant must be a service-connected disabled veteran or the spouse thereof (same household). The disability is at any level and need not be a compensated disability to receive eligibility under this program. The applicant’s claimed loss must not be covered by insurance. The applicant’s claimed loss must not be covered by other emergency relief agencies. Questions about the DAV can be referred to Charles Ryder at (336) 631-5481, charles.ryder@va.gov. Recommend making it clearer that DAV is a private organization. 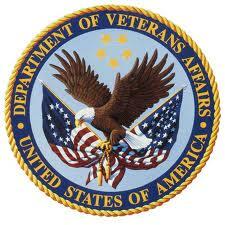 It is not the same as the Veterans Administration (a government administration) whose seal you have posted.